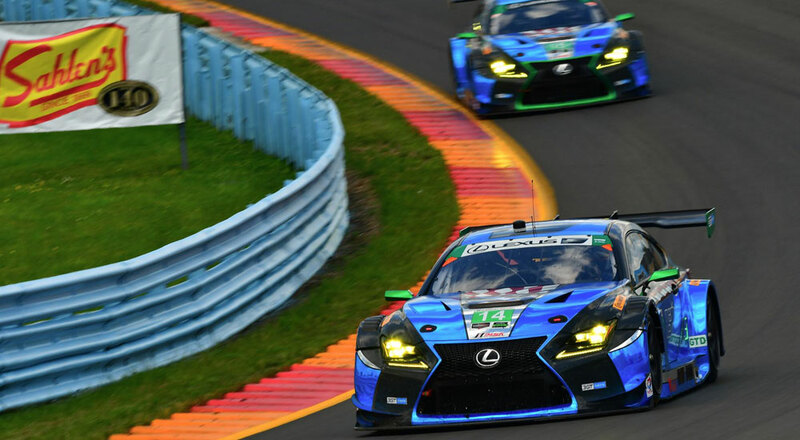 The 3GT Racing #14 Lexus RC F GT3 driven by Scott Pruett & Sage Karam finished fifth in the GTD class at the WeatherTech Championship race at Canadian Tire Motorsports Park this weekend. Got a hefty lead to where I thought if we came into the pits here, we could still leave – we weren’t going to get jumped in pit lane or anything. Unfortunately, we had a really bad pit stop. I couldn’t figure out how to get the car in neutral, so something was messed up there. Then we got another penalty for equipment, but really unfortunate that put us back to like the 12th spot and then the whole Scott (Pruett) stint was just kind of damage control. The #15 Lexus RC F GT3 driven by Jack Hawksworth & Robert Alon finished twelfth in class after an accident in qualifying nearly had them out of the race completely. The car was rebuilt overnight by the 3GT team.